Running VWO Surveys is a great way to engage with your website visitors and collect feedback right from the moment they are interacting with your website. The survey reports give you an insight into how the website is serving its purpose and provides a detailed report of the respondent data in the most comprehensive manner. 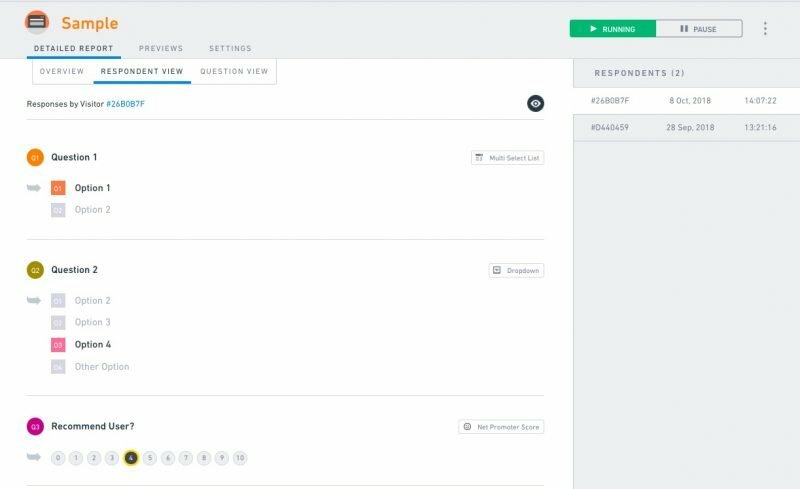 To access your survey reports, on the VWO dashboard, go to Analyze, and then click Surveys. From the list of surveys you have created, select the one for which you want to view the report. From the Detailed Report tab, select the report types you can view—Overview, Respondent View, or Question View. The Overview section provides a general overview of the number of questions, number of attempts, and completed questions. 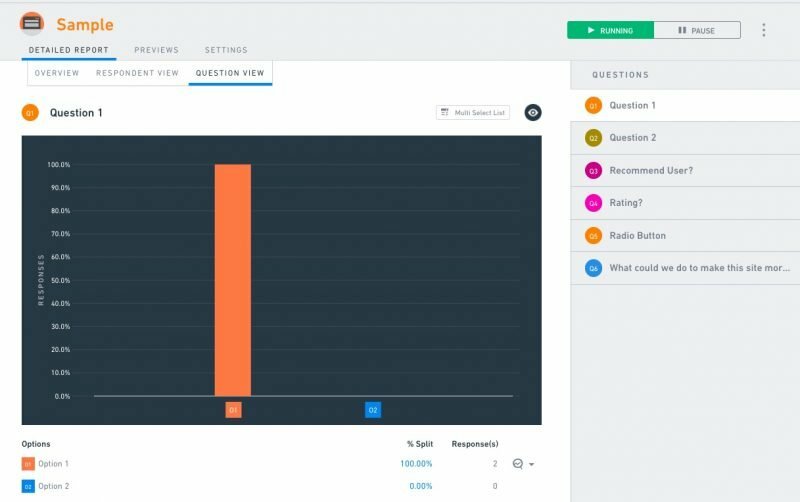 On this page, you can track visitor data at different stages of the survey, and then view their session recordings to get deeper insights into respondent behavior for every survey question. You can view recordings of the survey based on the responses you have received. For example, you can view recordings of visitors who selected No as a response or selected a specific option from the drop-down list. If you have been receiving poor NPS ratings, you can view recordings for respondents who gave you low ratings. With the recordings, you can find out what went wrong and what worked well. You can analyze how users searched for information or behaved on the website, and understand why they responded that way. Please note that the feature is only available for Conversion platform Enterprise users. On this screen, you can view answers selected by each respondent. From the panel on the right, you can select respondents for whom you want to view the report. This panel also shows the date and time when a respondent participated in a survey. Questions that your survey respondents skipped or did not attempt are not displayed in the Respondent view. The survey report displays only the questions with responses and optional questions that users did not answer. Note: If you select the Ask your respondents for email check-box while creating a survey, you will see a message icon next to the responses by the visitors who typed their email addresses when prompted. Clicking this icon opens a modal box where you can write an email, and then send it directly to a particular respondent. This screen also provides a graphical representation of the survey, but there is a separate tab for each question. The individual question for which you want to see a report can be selected from the panel on the right. Note: If you selected the Ask your respondents for email check box while creating a survey, you will see a message icon next to the responses from the visitors who typed their email addresses when prompted. Clicking this icon opens a modal box where you can write an email, and then send it to a particular respondent. VWO Surveys consume visitor quota from your research settings but does not depend on the visitor sampling rate for quota utilization. 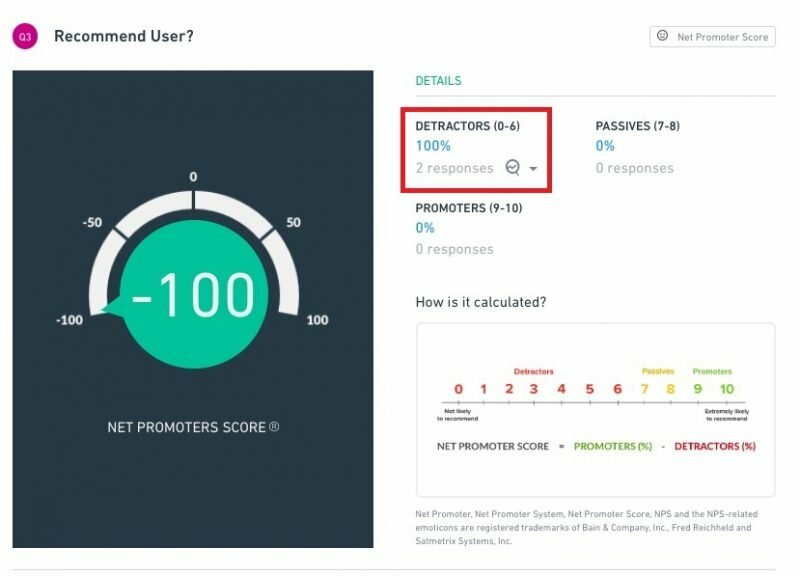 Visitor count is considered on a first-come, first-served basis unlike other research features such as heatmaps or recordings where account sampling determines visitor utilization.